Established in the Middle East in 1993, Gold Standard DMCC has a renowned reputation as the leader in the precious metals sector of the Middle East. Operating on the principles of reliability, trust and credibility has allowed Gold Standard DMCC to become one of the largest and most competitive independent precious metals trading companies in the region. 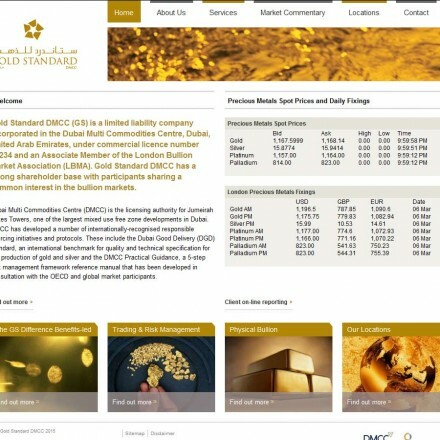 Gold Standard DMCC are a long established and well known Dubai precious metals dealer, offering possibly the fullest range of specialist services from any other Emirates-based bullion company – from physical bullion trading, refining and assaying, metals risk management, location swaps and secure vault facilities. 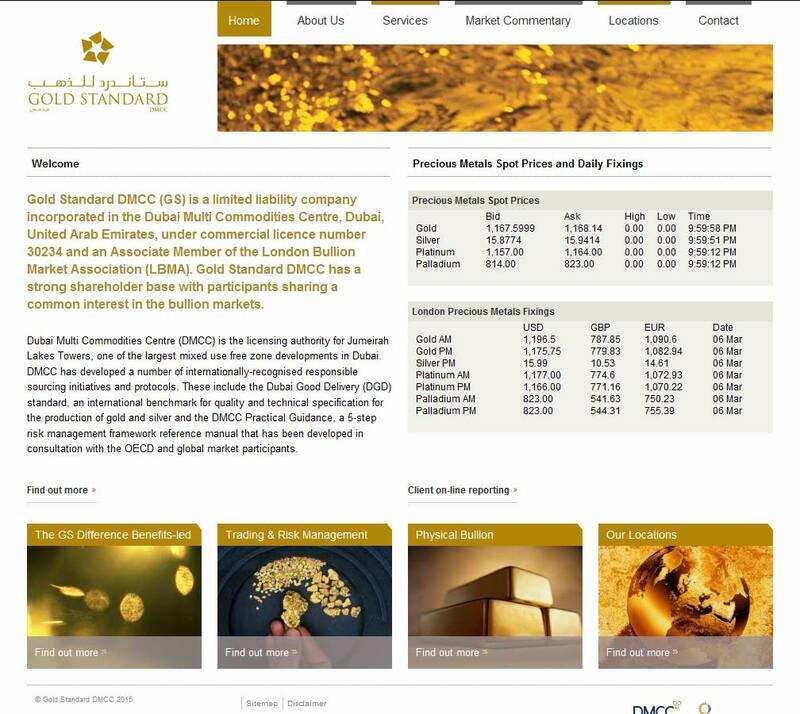 Our Gold Standard DMCC reviews are powered by Bullion.Directory - The Metals Investment Portal.